World Weaver Press, 9781732254626, 196pp. A Jewish resistance fighter in World War II Poland must gain the help of Baba Yaga to vanquish three supernatural men and avenge the loss of her comrades. A young mother leaves her family to serve the witch in penance for committing a terrible wrong. 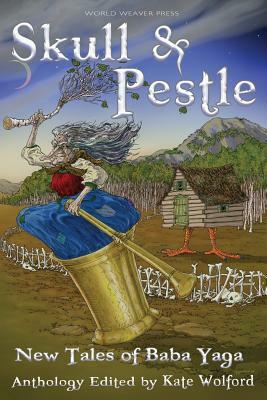 One story delves into Baba Yaga's tragic origins, while another re-examines the classic tale of Vasilisa, following the young girl who comes to Baba Yaga for fire on her own journey from maiden to mother to crone. One tale transports the witch from the forests of Russia to the swamplands of the American South, expertly weaving together Slavic and African-American folklore, and another brings her right into the modern day, as a young boy goes looking for a witch to put a spell on a school bully and gets more than he bargained for.